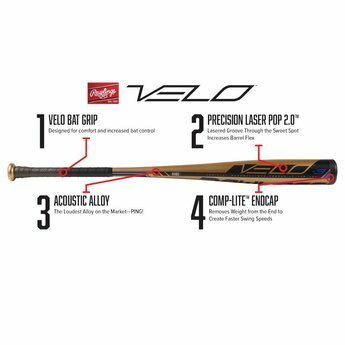 The Velo is your top of the lineup hitter, your table setter, equipped with a ton of bat speed and incredible bat control. 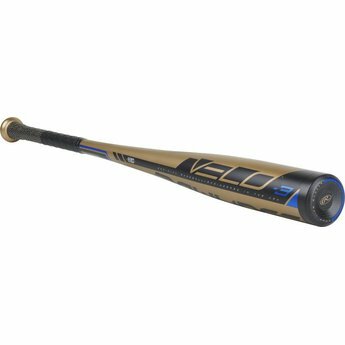 The Velo is your top of the lineup hitter, your table setter, equipped with a ton of bat speed and incredible bat control. With a stiffer handle, and the lightest swing weight in the game, this bat is a constant favorite for those looking to catch up to faster pitch speeds. 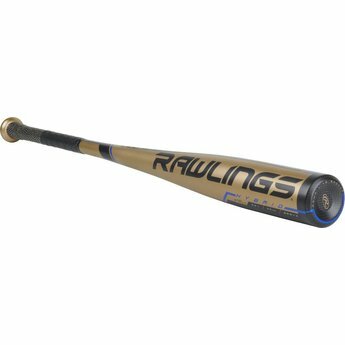 The precision laser "pOp 2.0" that Rawlings uses is a lasered groove through the sweet spot of the barrel, allowing barrel flex to impressively "pop" the ball of the barrel at the moment of impact for consistent results. 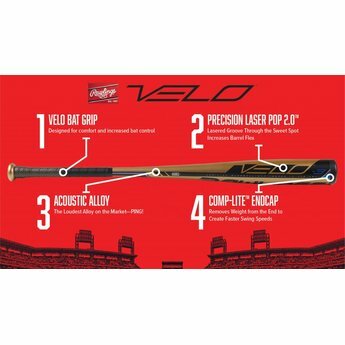 Get your Velo BBCOR Bat today, right here at CheapBats.com! No Hassle Returns, Batisfaction Guaranteed!